I know a lot of people were/are looking forward to this series! I never actually made it all the way through QQ Sweeper (it's a bit too 'out-there' for me, there's only so much supernatural that I think can plausibly exist and be ignored by the general public, and this one seems a bit unrealistic to me) but I do love Motomi Kyousuke, so I might go back and read it later at some point. This week I was out of commission with a tooth ache, of all things! I had very, very extreme pain due to a cavity and getting it fixed by the Japanese dentist was borderline horror-story material. Maybe I'll write about it on my other blog when I have time. In any case, the treatment is still on-going, but the pain is mostly gone, so I'll be getting Petit Comic scaned and uploaded ASAP and then Hana to Yume will be out before you know it. Uwahh, thank you very much for this! I love this manga and I love Motomi Kyousuke's work ^.^ but this particular tankoubon is sold out online so I haven't been able to get it (I heard they're going to reprint this and two Dengeki Daisy tankoubon). It's good your tooth ache is gone, I read in a blog of another girl living in Japan that she went through hell with Japanese medical care. So unexpected, I had this idea of Japan being a great power with the best education and health system, etc. I hope everything comes out well for you. You're welcome!! I'm glad to hear that QQ Sweeper and Queen's Quality have been so popular. I usually buy all my manga used, but I specifically bought this one new at full price, so my money would go to the author, not the used book reseller. Do you live in America? If so, where do you buy Japanese manga in raw? I checked Amazon and Kinokuniya online, but they are translated to English. I want to read them in Japanese. Please let me know. Thank you. If you can read Japanese, use amazon.co.jp and search for "最富キョウスケ". Hi ! i really appreciate with your hardwork. it's still so hard when you want read the raw but there's no website can provide it. So i'm really grateful towards you. Anyway, when i click the button "download" on your website, almost all of the link has been expired or outdated, so can you fix it? Sorry, but someone reported my mediafire account a while ago, and all the links got deleted for copyright infringement. Unfortunately I don't have the time to reupload everything, but I'm doing it a bit at a time, when I happen to have some time free. If there's something specific you want, let me know and I'll try to do that first. hello, can I request some manga? Thank you so, so much for this! Did you read volume 2? Where could I read it? Please let me know! I really want to read volume2. seriously wanna know if you can find anyone. I'm desperate beyond measure to be able to continue her story! Thank you so much for your effort! This is really great!! 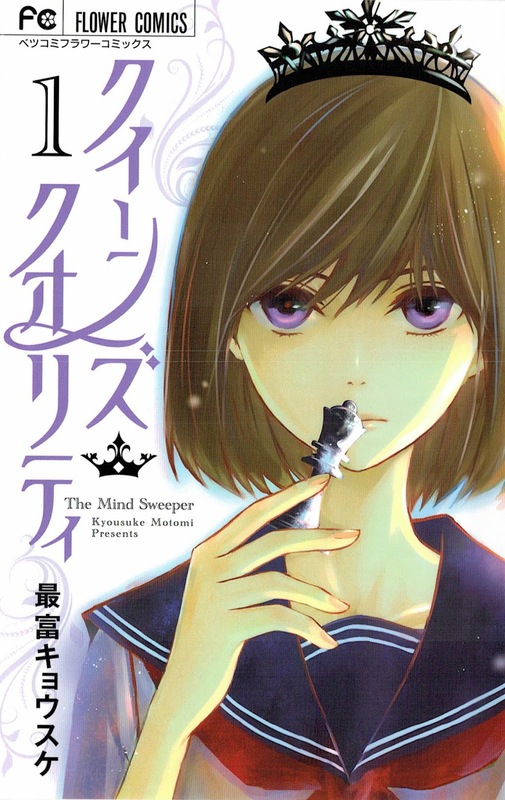 I really want to read this manga, I just finished reading QQ sweeper and it seems my soul won't settle unless I start reading Queen's quality but it's not available yet where I am reading mangas. And upon researching, this is the ultimate answer that I am looking for, too bad it is not in english T.T can anyone give me a link or a copy of this or anything in english? It will be much appreciated! I want them translated in english :'( because i still can't read them in japanese. Where i can read chapter 2 ? Its fine in japanese.